Dedicated only to those booking on the Official Website of Hotel Manzoni. Request the promotional code and get a special discount! SECRETOFFER Check out the offers! Style has always been found in via Montenapoleone, where the Hotel Manzoni of Milan is the perfect dwelling for all those willing to rediscover their home few steps away from the Duomo of Milano, in the heart of the Quadrilatero fashion district. Elegance and comfort, wood flooring and cure of details. Prestigious solution to sleep in Milan City Center. Large room with luxury services and comfort. Warm atmosphere, relaxing and regenerating, in the heart of Milan. 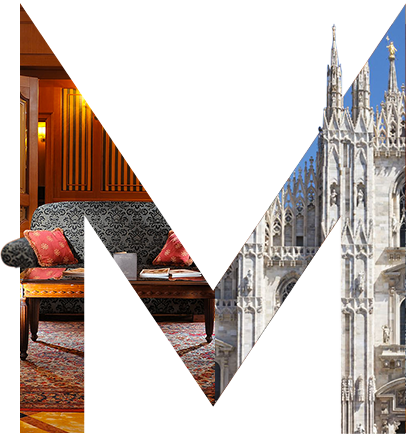 Welcoming and refines solution to stay in Milan. Room with lounge area and splendid marble bathroom. Top floor, spacious and bright. Rooms with lounge area, closet and bathrooms in fine marble.